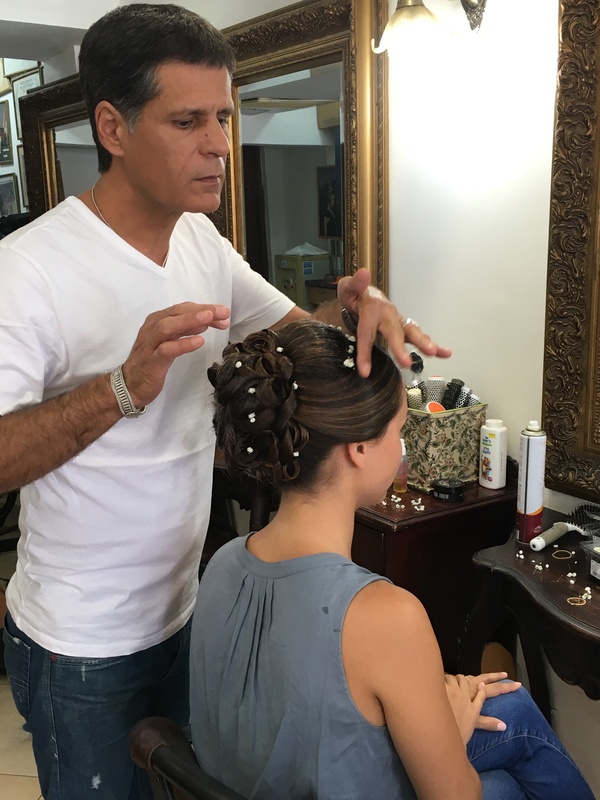 Stymied, I tried to wrap my mind around the simple fact of Israel’s taking care of people in Gaza, the neighbors who are still trying to build terrorism tunnels under the kibbutzim where Sagi grew up. Racheli says that she does not think about missiles or terrorist attacks when it has been relatively quiet for a period of time. She tells me that she blocks it all from her mind. I am just a visitor, and I am the opposite in my response. When I am here in the south, all I can do is think about that long period of time when missiles fell every day on Sederot and the surrounding kibbutzim of Shaar HaNegev. Long before Iron Dome, missiles reached the ground and took away peace of mind and people’s lives. Since the miraculous protection of Iron Dome, still no one here lives with a complete sense of security. I think about it all the time. I look at the waitress at the restaurant in Sederot and imagine her as a young girl, running for shelter with 15 seconds notice. 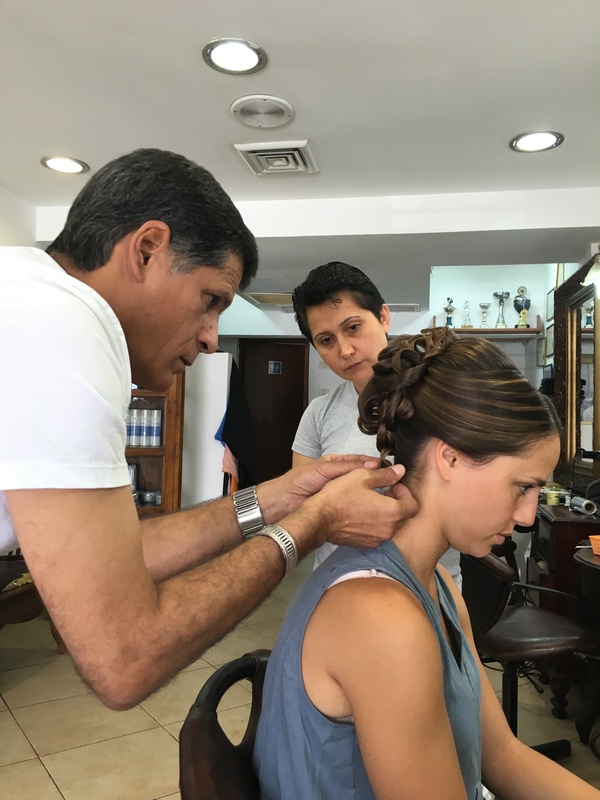 I sit with Sarah as she has her hair done for the wedding later today and wonder how Shupan kept his business running through those years. 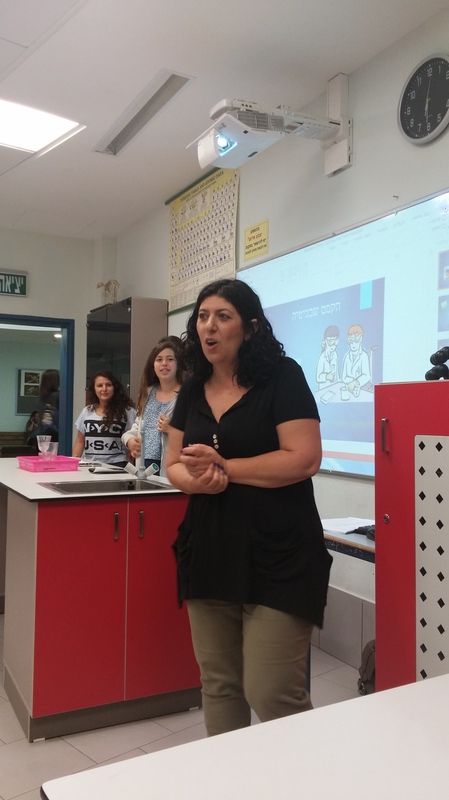 I sit in Racheli’s classroom at Shaar HaNegev High School as she presents an experiment to her chemistry students and notice the sign just next to the whiteboard. It is a sign we would never see in America: in case of tzeva adom, a red alert, do not leave the building. 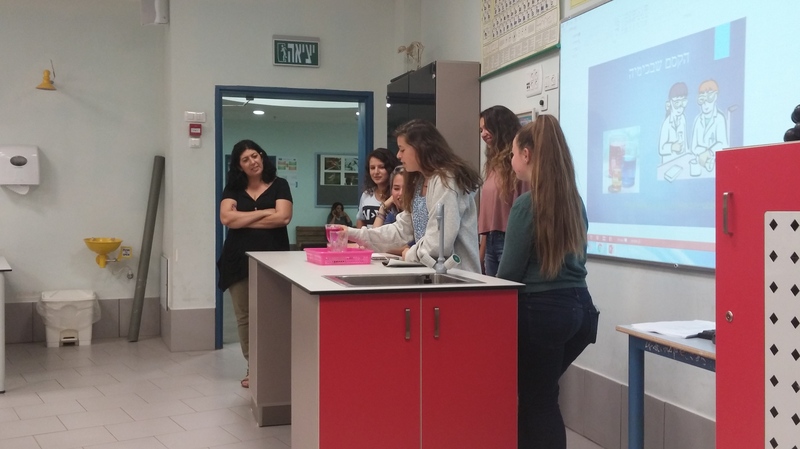 I observe Racheli’s students and acknowledge to myself that they have never lived in a world without threat from their neighbors. 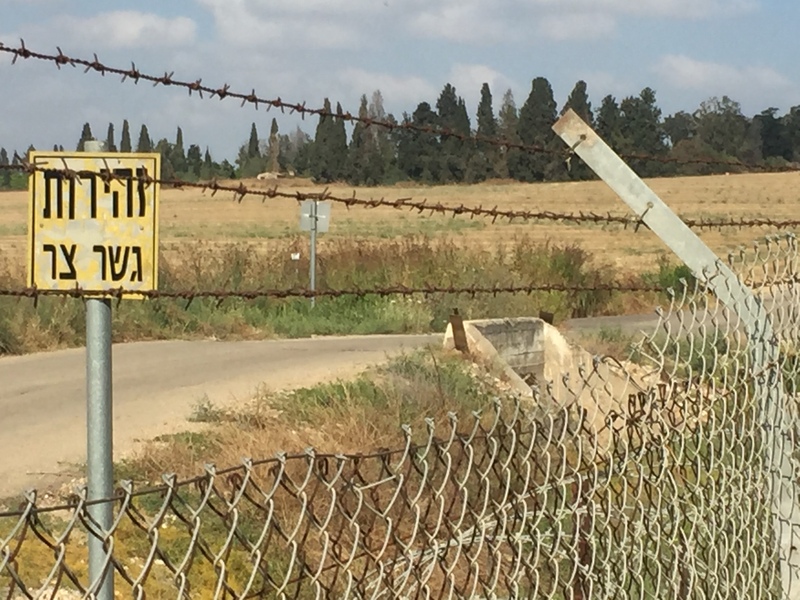 At the entrance of Kibbutz Nir Am, on the way into the guest cottage, I pause to think about the very beginning of Protective Edge… and of two Israeli soldiers who were killed here. 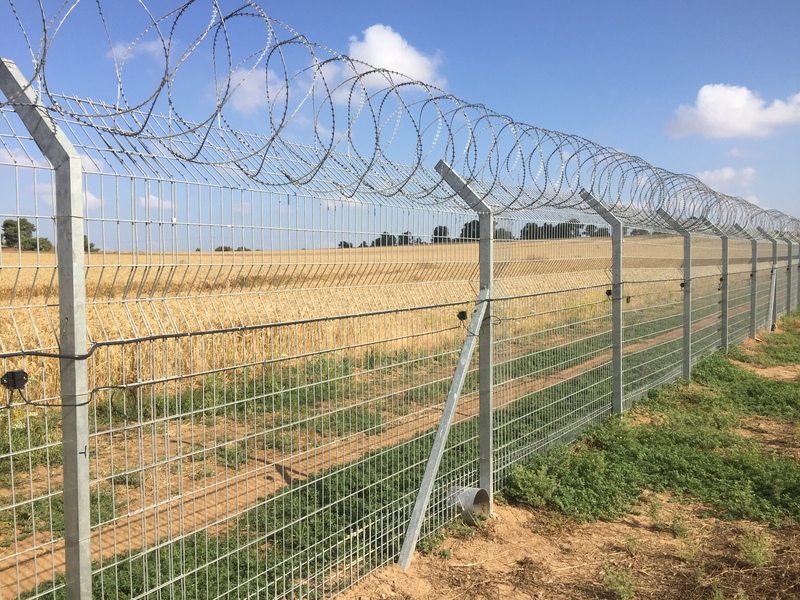 On my morning run, I cannot avoid looking at the barbed wire surrounding the entire kibbutz. But then, I see a sign. I mean that I see a sign and also that I see a sign! It says: Beware! Narrow Bridge. And I complete the significance for myself: all of the world is just a narrow bridge, and the most important thing is not to be afraid. Having been there during Protective Edge, I know just what you mean . I pray for peace with you and your family . Peace has a better chance of success when people hold out a hand to one another. Thank you to those who try! !